MACAU – 2016, Studio City and Rolemodel Entertainment Group (REG) are proud to announce one of the hottest K-Pop groups over the past decade, Super Junior, bringing their special fans meeting event “SUPER CAMP” to a world-class venue, Studio City Event Center, on May 28, 2016 (Saturday). Super Junior has been touring around the world bringing this memorable SUPER JUNIOR Special Event “SUPER CAMP” and its kick-off event was held last September in Seoul. 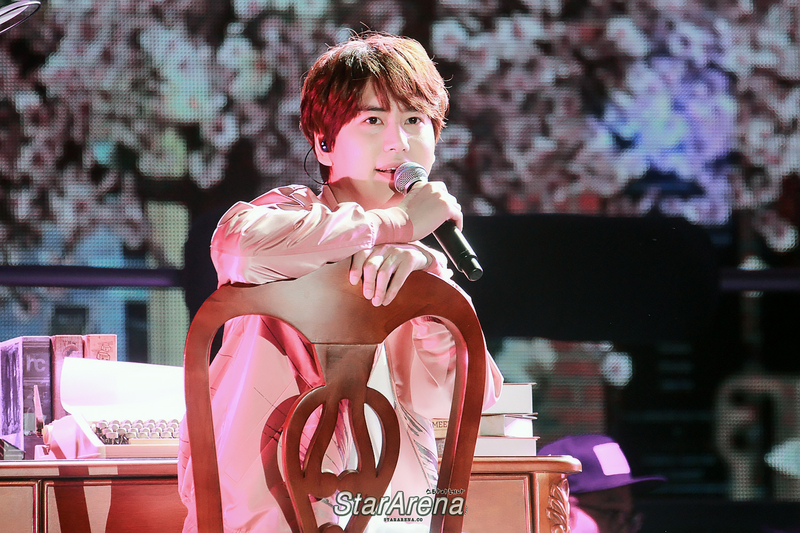 This is their first ever fans meeting tour to major cities such as Tokyo, Taipei, Beijing, Shanghai and Bangkok. This special event in Macau will be held in a mini concert format with Super Junior celebrating their 10-year-old memories with their fans through their greatest hits performance and interactive games. Super Junior will reveal their all-time energetic mode and enthusiastic performance to their lovely fans. SUPER JUNIOR Special Event “SUPER CAMP” in MACAU is a thank you gesture from Super Junior to express gratitude to their fans for their continuous support to them. As some of the Super Junior members are currently serving in the army back in Korea, unfortunately not all of them can come to meet their fans in this exclusive event. However, LEETEUK, HEECHUL, YESUNG, KANGIN, RYEOWOOK and KYUHYUN have still tried their best to commit to this tour bringing an unforgettable experience to their fans despite of their busy personal schedules. This is definitely an event that their fans could not miss out! Our special event will be held at the recent iconic venue of Macau, Studio City Event Center, which has only been opened since last October. Since then, a few shows involving famous international super stars have been held at the venue including pop diva Madonna, Asia’s king of dance Aaron Kwok and top comedy rock-star-Russell Peters etc. SUPER JUNIOR Special Event “SUPER CAMP” in MACAU will be their next exceptional event which an exclusively- designed revolving stage is built with an extendable feature to facilitate the intimate and interactive elements of this special event for their fans. The Super Junior fans would be ensured to fully enjoy the show with all these tailor-made visual effects. Don’t miss the chance! Bangkok, 2016 – SUPER JUNIOR shared numerous special moments with Thai ELF at SUPER JUNIOR Special Event “SUPER CAMP” in BANGKOK. Promoted and produced by SMTRUE, 6 members of Super Junior, Leetuek, Heechul, Kangin, Yesung, Ryeowook and Kyuhyun had a 2 hour celebration of their 10th anniversary in Thailand on 19th March 2016 at Thunder Dome, Muangthong Thani. SUPER JUNIOR Special Event “SUPER CAMP” in BANGKOK วันแห่งความทรงจำอันแสนพิเศษ! 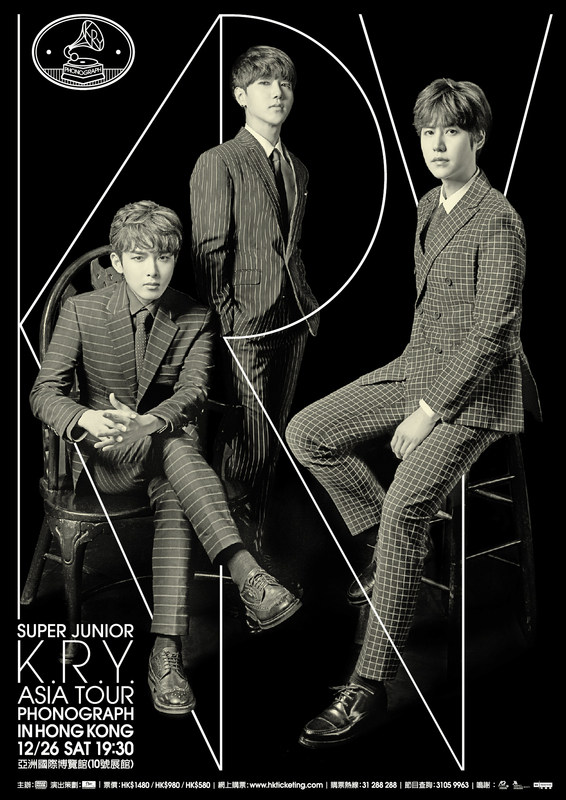 Hongkong, 2015 – Super Junior K.R.Y., consisting of Kyuhyun, Ryeowook and Yesung, successfully completed their Hong Kong concert ‘Super Junior K.R.Y. Asia Tour -Phonograph- in Hongkong’ on December 26, which coincidentally is Boxing day.